The plays written by William Shakespeare are listed below by category and alphabetical order. The Script and Text of each William Shakespeare Play may be accessed by clicking the appropriate link. 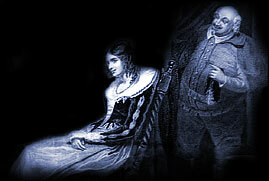 The enduring works of William Shakespeare feature many famous and well loved characters. The text and script of Shakespeare's plays convey vivid impressions. The language used today is, in many ways, different to that used in the 16th century Elizabethan era and this is often reflected in the script and text used in the plays of William Shakespeare. It is therefore not surprising that we have no experience or understanding of some of the words contained in some of the text and script of his plays. We have therefore included a Shakespeare Dictionary for most of the more obscure words used in the script of his plays, some of which are obsolete in modern language or Dictionaries. Make a note of any unusual words that you encounter whilst reading the scripts and check their definition in the Shakespeare Dictionary. The script and text of many of William Shakespeare's plays are extremely long. To reduce the time to load the script of the play, and for ease in accessing specific sections of the script, we have separated the text and script into five the Acts. The script and text of many of William Shakespeare's plays are extremely long. To reduce the time to load the script of the play, and for ease in accessing specific sections of the script, we have separated the text and script into five the Acts. We sincerely hope that you enjoy reading his wonderful works.